An examination of the influence of the Bible on Western art and literature and on the Western creative imagination in general. Frye persuasively presents the Bible as a unique text distinct from all other epics and sacred writings. 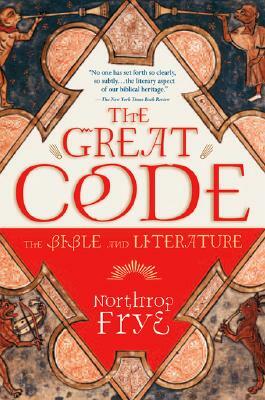 “No one has set forth so clearly, so subtly, or with such cogent energy as Frye the literary aspect of our biblical heritage” (New York Times Book Review). Indices. Northrop Frye (1912-1991) was professor emeritus at Victoria College, University of Toronto, and the author of many books on literary theory and criticism.